He has graduated from Marmara University Faculty of Law and has a master's degree in Human Rights Law (LLM) from Istanbul Bilgi University and a doctoral degree in Public Law (PhD) from Istanbul University. 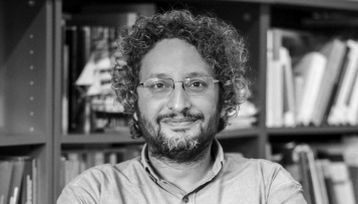 Since 2005, he has been working for the Istanbul Bilgi University Human Rights Law Research Center as a researcher and trainer. Currently, he is an assistant professor at the Istanbul Bilgi University Faculty of Law specialised in constitutional law and human rights law. He has been researching on human rights in general and anti-discrimination, freedom of expression, association and assembly, constitutional complaint mechanism in Turkey. He has translated the book by Harris, O’Boyle and Warbrick entitled "Law of the European Convention on Human Rights” into Turkish with Mehveş Bingöllü. He has books published in Turkish entitled “Avrupa Birliği Ülkelerinde Ayrımcılık Yasağı ve Eşitlik Kurumları (Anti-discrimination and Equality Bodies in the EU)”, “Sanatta İfade Özgürlüğü, Sansür ve Hukuk (Freedom of Artistic Expression, Censorship and the Law)” “Ayrımcılık Yasağı: Kavram, Hukuk, İzleme ve Belgeleme (Anti-Discrimination: Concept, Law, Monitoring and Documentation)” (with İdil Işıl Gül), “Ayrımcılık Yasağı Eğitim Rehberi (Manual on Anti-Discrimination)” (with İdil Işıl Gül) and "İnsan Hakları Avrupa Sözleşmesi ve Anayasa: Anayasa Mahkemesine Bireysel Başvuru Kapsamında Bir İnceleme (The European Convention on Human Rights and the Constitution: A Review with within the Context of Individual Application to the Constitutional Court)" (with Sibel İnceoğlu, Oya Boyar, Lami Bertan Tokuzlu, Olgun Akbulut, Gülay Arslan Öncü) and articles in various law journals on different topics as well. Research interests: constitutional law, constitutional complaint, anti-discrimination, freedom of expression, association and assembly.